Quality Feed & Garden is the largest supplier of pigeon products on the Texas Gulf Coast. For nearly 30 years, our store's owner, Ken, served as vice president for the homing pigeon sport in the Houston region. Ken knows pigeons. People far and wide call for his expertise and advice. We're known for our selection of live doves and pigeons! We buy from the public and never a supplier. Availability is constantly changing. If you're looking for a specific breed of pigeon, it's best to call the store before you make a trip! 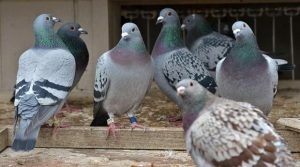 If you have doves or pigeons for sale, call and talk to Ken about selling us some of your stock!